Experienced travelers know that a credit card that does not charge a foreign transaction fee is an excellent traveling companion. But there are other factors to consider when choosing the best card for overseas sojourns. 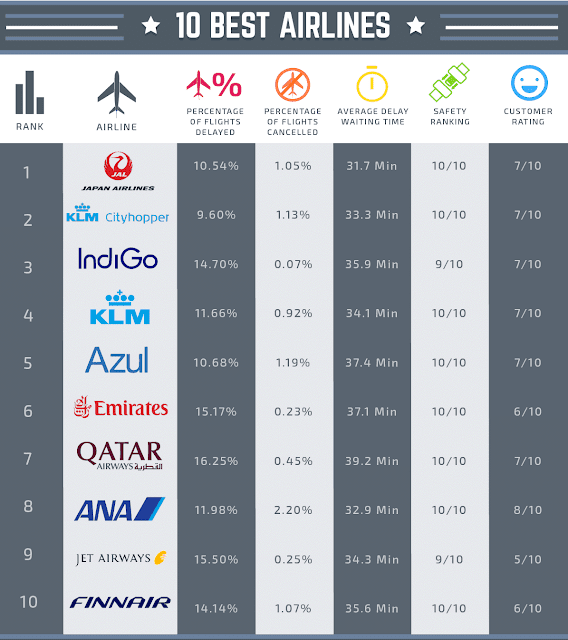 A recently released report by WalletHub.com compared 69 of the most popular credit cards on the market in terms of 13 key metrics, ranging from the cost of foreign transaction fees and the convenience of lost luggage insurance to whether travelers need to notify the issuer before departure. 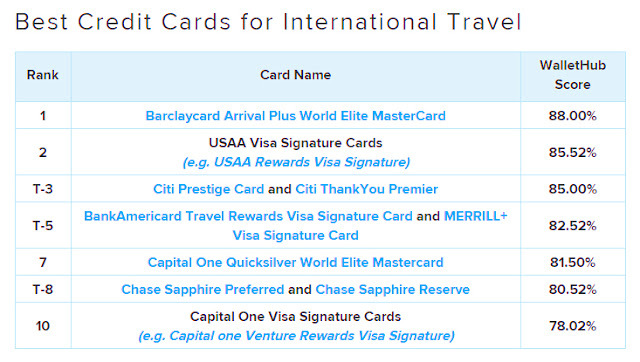 According to the 2017 International Travel Credit Card Report, the best card overall is the Barclaycard Arrival Plus World Elite MasterCard. 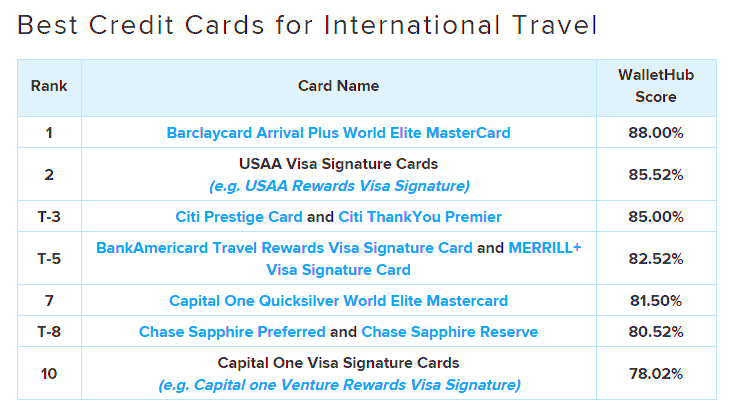 That is followed by USAA Visa Signature Card at second, and a tie for third between the Citi Prestige Card and the Citi Thank You Premier Card. 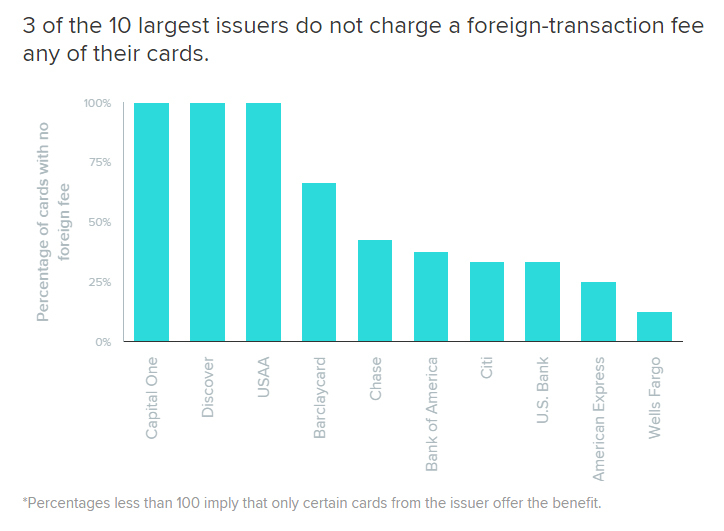 For the report, WalletHub analyzed the foreign travel benefits offered by personal credit cards from the top 10 issuers, excluding student and co-branded cards. WalletHub collected information online from issuer websites for all 69 cards and scored each card’s benefits in three overall categories: Foreign transaction fees, secondary benefits, and convenience services. Those benefits were weighted at 20 percent, 30 percent, and 50 percent, respectively. Capital One, Discover and USAA were the only major issuers that only issue credit cards that have no foreign transaction fee. Getting both a no-foreign-fee credit card and a no-foreign-fee debit card enables international travelers to minimize the cost of currency conversion. The survey considered four “secondary benefits” in cacculating a card’s value: Travel emergency assistance, travel accident insurance, lost luggage insurance and delayed luggage insurance. Those benefits were weighted at 10 percent, 8 percent, 6 percent, and 4 percent, respectively. The availability of a personal identification number (PIN) and whether it was provided automatically or upon request. Whether the card was a member of a major network such as American Express, Discover, MasterCard or VISA. Whether the card issuer charged an expedited delivery fee for replacement cards. Whether financial assistance was offered in case of a lost or stolen credit card. 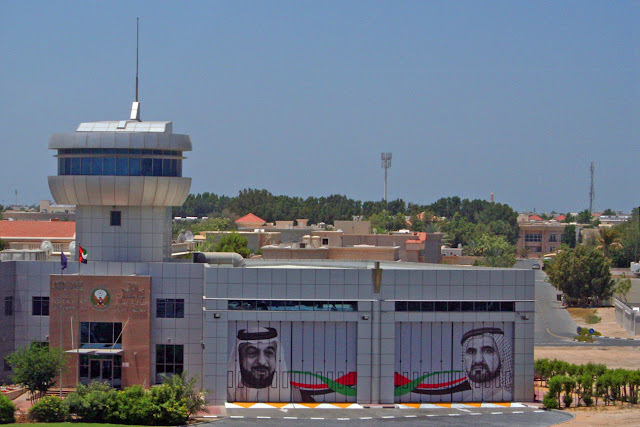 Whether financial assistance was offered in case of a travel emergency. Whether the issuer offered online travel notification. Thirty percent of card issuers will not automatically send a replacement for a lost or stolen card to customers who are traveling abroad. Another 50 percent will send a replacement for an average fee of $20. Half of all issuers offer financial assistance for travel emergencies with all of their cards. 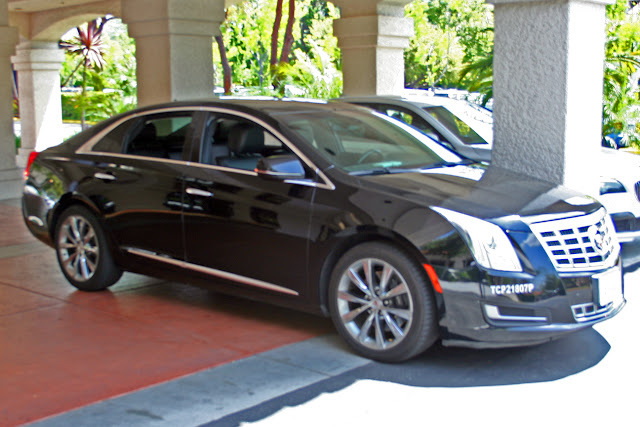 Travel accident insurance is the most common type of secondary benefit after rental car insurance, which all credit cards provide. The maximum score theoretically attainable was 100 percent. The top-ranked card scored 88 percent, while nine cards scored better than 80 percent. Importantly, the report did not evaluate co-branded cards such as those issued by many airlines, hotel chains, and the like. Many of those offer comparable benefits including no foreign transaction fees. Many also offer secondary benefits and convenience services equal to or exceeding some of the top-ranked cards in the survey so, if you carry a co-branded card, do your homework before deciding to chuck your old card and apply for a new one.